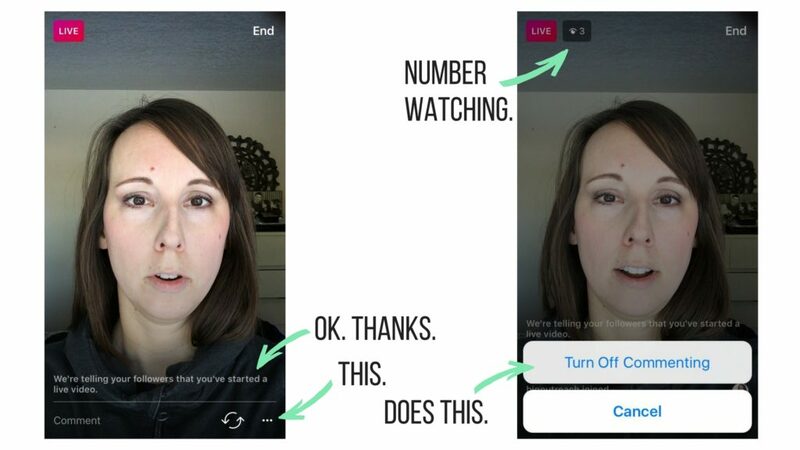 Instagram Live is the new ability to stream, in real time, from the Instagram app. Live streaming has gained in popularity over the last 18-24 months, initiated by the launch of Meerkat (remember them?!) back in February of 2015. A few weeks later, I was sitting at the opening keynote of Social Media Marketing World in 2015, when Periscope launched. Since then, we’ve seen live streaming in the form of Blab, Facebook Live and YouTube live streaming. And don’t forget Google Hangouts on Air! That was live streaming before it was cool. I’m sure I’m forgetting a key platform in there somewhere, but all this to say, live streaming is here to stay, and we have a lot of options. 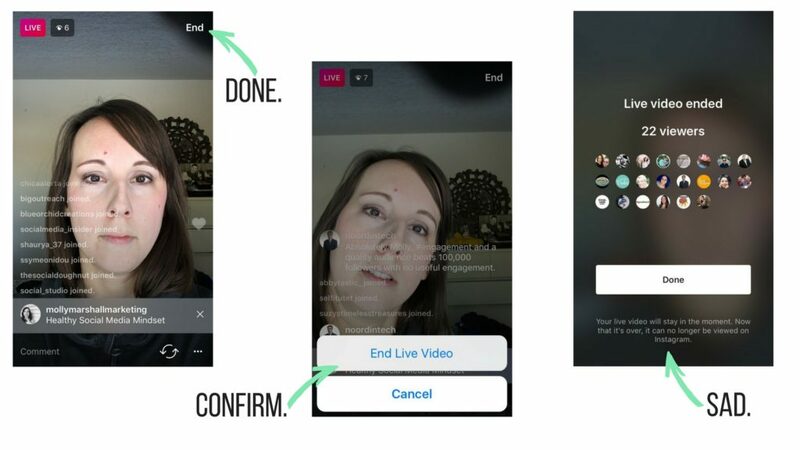 The Instagram Live platform differs in one major way from Facebook, YouTube, and Periscope; currently, there is no way to save or replay an Instagram Live session. As soon as you press the Stop button, your Live session disappears forever! This bums me out, because as a marketer I’m always looking for ways to re-purpose and use my content in as many ways as possible. However, I still see many benefits to using Instagram Live. For one, I get more attendees and higher engagement than when I do a Facebook live. 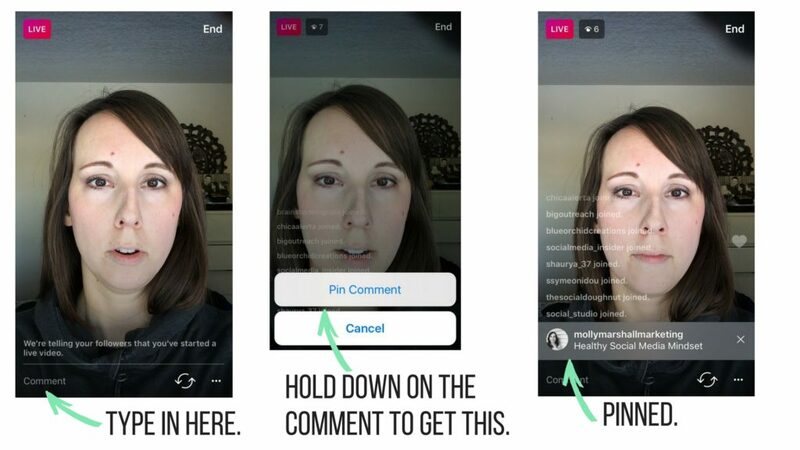 I have also found that using Instagram Live to “talk out” ideas for blog posts helps me crystallize my ideas before I go write about them. Small wins. One really cool feature is that you can PIN a comment so that everyone sees it. Type in the topic of your live broadcast so that people tuning in will know what you are talking about. When you are ready to be done, tap End. There’s nothing left to do, since you can’t save the video (le sigh), but you can see the total number that tuned in. If you have like 20/10 vision, you might even be able to make out their faces. Think of your live stream like a mini-show, podcast episode, or blog post come alive. Have a clear topic and points. It helps to bullet things out ahead of time to keep yourself on topic. Remember that people are popping on and dropping off all the time, so it’s helpful to quickly recap your points from time to time. I think live streams can be long or short, depending on the topic, and what your audience wants and expects from you. Staying on more than 10 minutes allows more people to hop on, but I’ve found that not very many people have 20-30 minutes a day to sit and watch my live stream :). You don’t need to ask for double taps (hearts), which looks a little silly. But ask questions and tell viewers to comment with their answers. Read a few of the answers out loud and mention people’s handles, or real names if you know them. Respond to them and make your stream as much of a two-way conversation as possible. As with all social media, the goal is to get someone to take the next step with you. 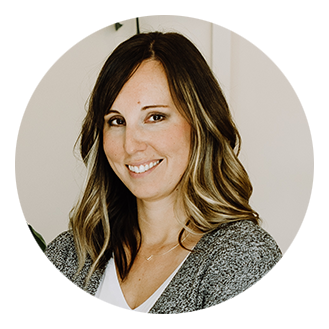 Social media might be where someone discovers you or first engages with your brand, but you need to get them back to where you do business. Send them to one of your freebies or opt-ins. Comment with, or mention, a short link to a specific blog post that complements what you are talking about. Use your live stream to gain leads. 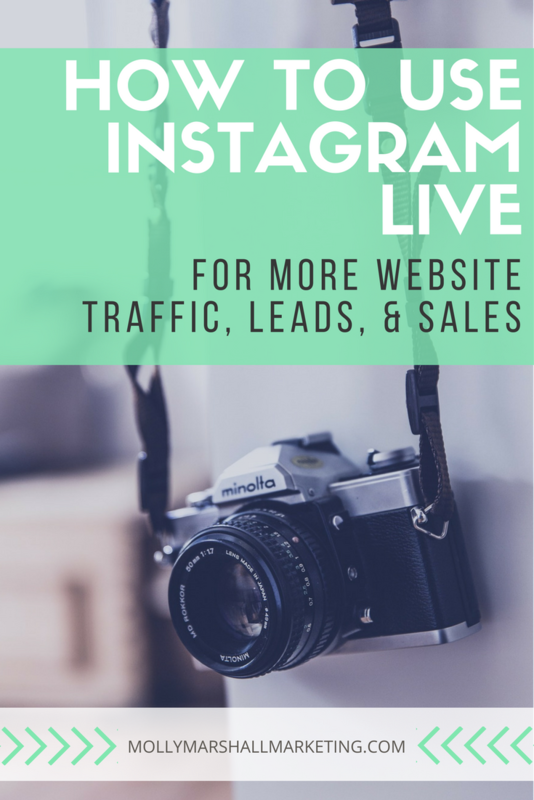 With these tips, you are well on your way to using Instagram Live to attract more leads, and ultimately nurture them to more sales! 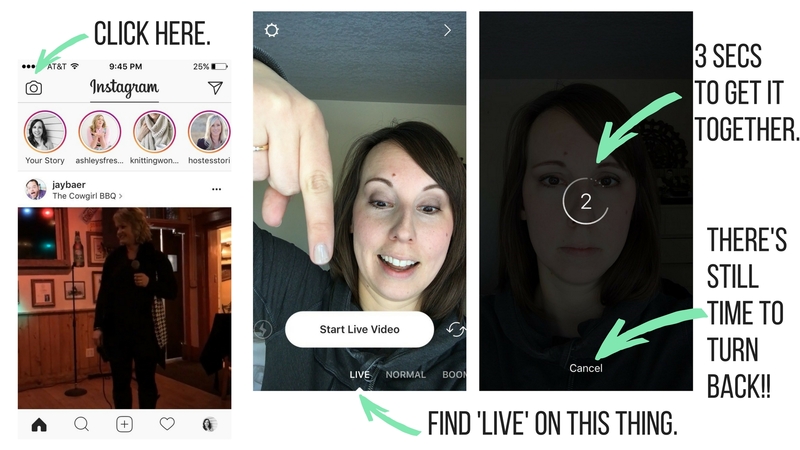 Have you tried Instagram Live yet? What was your experience? Thanks for sharing! I was unable to get the link for the printout to work. So sorry about that… I fixed the links for the download! Really enjoyed the way you did this so simply, great knowing about the pinned post thing too! Must find you on Instagram! 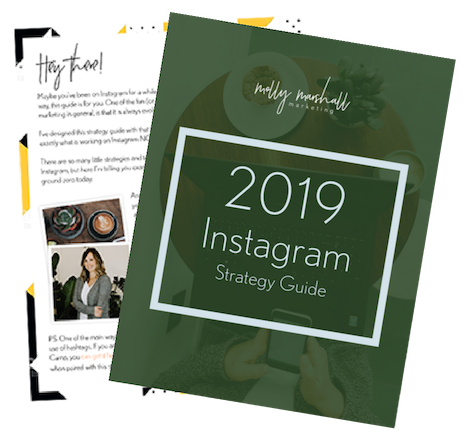 Glad you found this useful – yes, find me on Instagram and reach out if you have any questions! Really educative and helpful. Can you go live on instagram and periscope at the same time? Yes, but you would need two separate devices! Great! I haven’t know about how to use instagram live I never thought that 🙂 Thank you for the information it is really good and helpful as well. Thanks Molly, nice information you have have shared. Thanks and keep sharing and helping. Great information! Most of them must be not aware of how to use Instagram live. Really, gained a lot of information and very helpful to all of us.